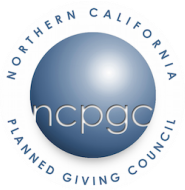 The Northern California Planned Giving Council’s annual masters program is named in honor of Heidi Strassburger, a long-time member and past president of our Council who passed away very prematurely in 2008. Heidi was dedicated to planned charitable giving, and a talented and tireless friend and mentor to many members of the Council. Heidi began her legal career as a staff attorney at the Child Care Law Center in San Francisco and after earning her LL.M. in tax, worked in the Estate and Gift Tax division of the Internal Revenue Service. Most of us came to know Heidi after she became a planned giving officer at University of California, San Francisco and later the Director of Tax, Legal and Regulatory Affairs at Kaspick & Company. In honor of her dedication to, and expertise in, the field of charitable gift planning and her leadership and service to the Northern California Planned Giving Council, the Board of Directors named the annual master’s program the “Heidi Strassburger Masters Program” (HSMP) in honor and in memory of Heidi Strassburger. The HSMP is intended for those who have worked in the field of planned giving for five years or more, although everyone is welcome to attend.